If one man can be credited with creating the language of rock 'n' roll it is Chuck Berry. In the early 1950's he was just an ambitious Nat "King" Cole imitator gigging in St Louis, but ten years after moving to Chicago and cutting is first hit, "Maybelline", in 1955, he built a catalogue of classics that inspired the Beatles, the Rolling Stones, and every rock musician since. Meanwhile his Chicago rival Bo Diddley, the earthiest and arguably the most exciting of the rock 'n' roll performers, was reminding us that this music was just a step away from the blues. Although he was raised in Chicago, his music was a bizarre, electric version of the blues of his birthplace, Mississippi. Between them Chuck and Bo caused a revolution in Chicago blues, hitherto largely unknown to white America and the mass market. Both were signed to Chess Records, established by Eastern European immigrants, the Chess brothers, who provided the shop window for Chicago blues men, while also conforming to a now all-too-familiar pattern, as white entrepreneurs exploiting black talent. Chess Records both examines the subject of exploitation within the record business and celebrated the music of two unique and important artists and the extraordinarily fertile blues environment out of which they grew. 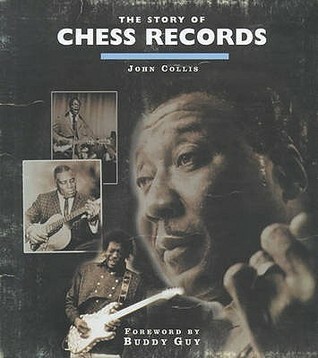 This was a good book about the history of blues music and not just about the Chess label. There is a lot of information about the people sing blues music before Muddy Waters really made it popular. Also there is a lot of information about how the label came to be. The other parts of the story are good, it is just some of the stuff from other labels. How the record company cheated them out of money maybe it happened, maybe not. Not every singer said the same thing. But I am sure some of that had to be going on there if it was going on at other places in the 50's. A good book about the lives of some of the biggest blues singers and musicians that was really good reading about. Overall a good book.